We can assemble each of our iconic structures to create a structure combining the Single, Duo and Trispan structures to, in effect, create a multispan structure which will match your creative visions. The options are both endless and proven. The modular truss framework of our SaddleSpans allows us to combine any number of SingleSpan structures, using our duo and tri joiners, to create huge capacity of up to 10,000 people. Silver Stage’s countless multispan configurations are highly functional, providing ample space for multiple stages, huge banquet halls, vaulted assembly rooms and multiple-area exhibition spaces. Popular options include: 5V, 4Y and Septaspan. Our colossal 5V configuration was used to create a stage at Glastonbury music festival and provided cover to some 5,000 revellers. Our 4Y and Septaspan Structures have both been deployed for corporate events for up to 7,000 people, further demonstrating the capacity of these incredible structures. 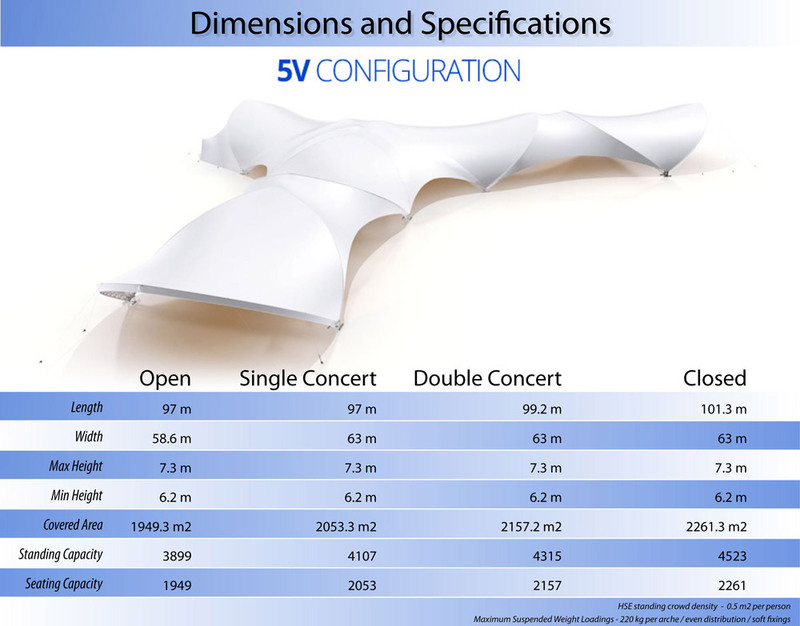 The sky’s the limit with our multispan configurations – bring your vision to reality with Silver Stage. The number of configurations available are endless. Contact us for a no-obligation quotation, tailored to your needs. 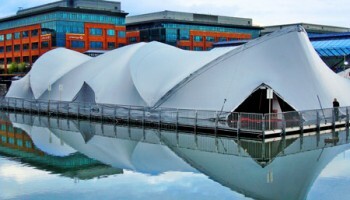 We used the Silver-Stage Duo Structure to create a stunning impression in a challenging location – on a Dublin Dock. A beautiful result!